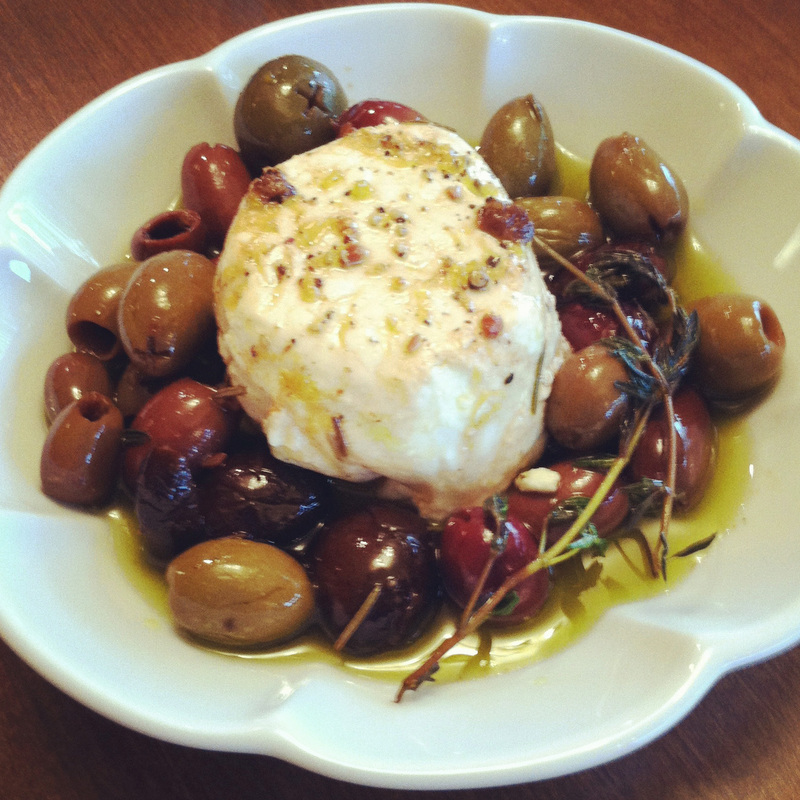 Goat Cheese with Olives, Lemon, and Thyme is very simple but is elegant enough for entertaining. I recently made it when some friends joined us for dinner and it was the perfect appetizer for four people. It could easily be doubled for a larger group. The key to a recipe like this is to use the best ingredients you can find. 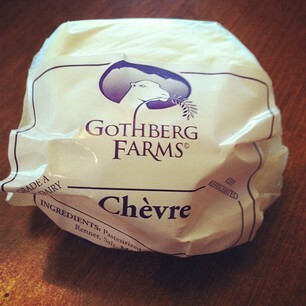 I found a local goat cheese at Metropolitan Market from Gothberg Farms. An assortment of pitted olives was easy to find at the olive bar. (Are we just lucky in Seattle, or are olive bars in grocery stores everywhere?) La Panzanella Mini Whole Wheat Croccantini proved to be the perfect cracker to serve with the cheese, but you could use any good quality cracker or slices of a baguette. Once you’ve found the ingredients, it couldn’t be easier to make Goat Cheese with Olives, Lemon, and Thyme. I’m sure I’ll be making it again sometime soon! 1. 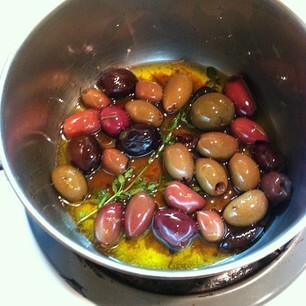 Put the olives, thyme sprigs, olive oil, lemon zest, and black pepper into a small saucepan and heat over low heat until it’s warm and fragrant. Do not boil. 2. Let the olive mixture cool off, and then pour over the cheese in a small serving dish. You are lucky to have an olive bar in your market. I live in kind of a small town, but I’m sure there have ones in bigger ones. I’m jealous. I would eat this for dinner. Glad you liked the table, boy was it more work than I thought. Have a great weekend. I guess I am lucky, Gina! 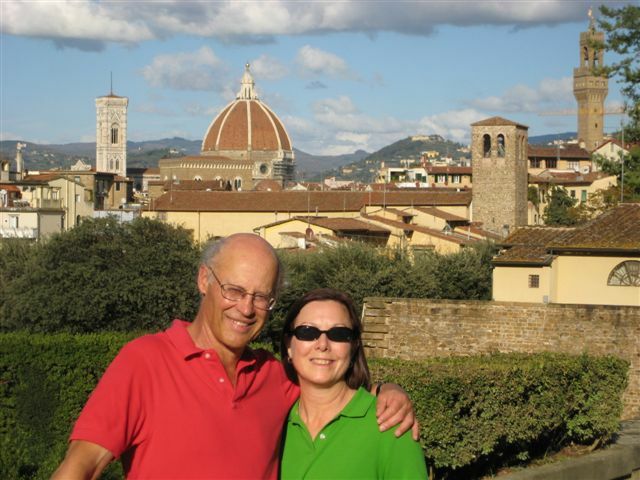 Hope you have a great weekend, too! A terrific appetizer! 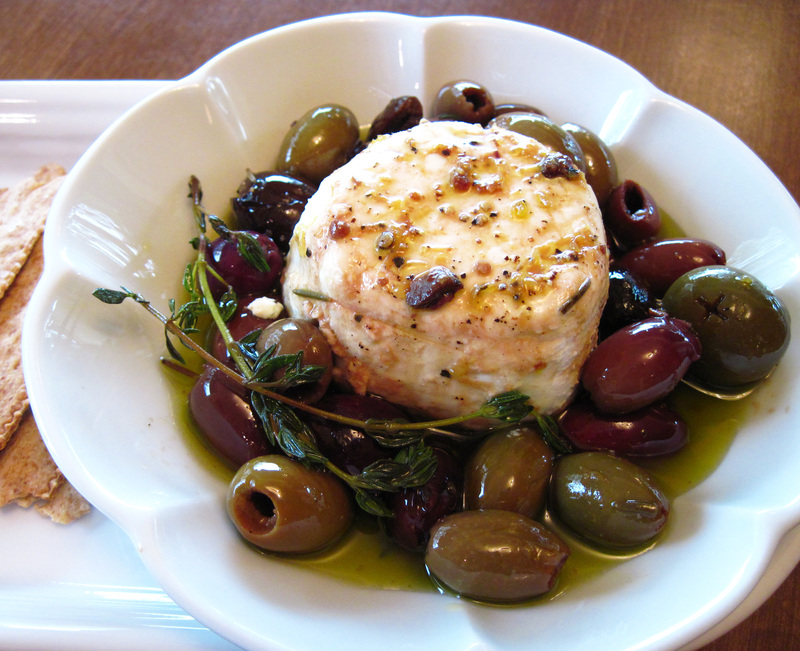 I love goat cheese, but never thought of pairing them with a mix of olives and herbs. I think it’s a brilliant idea. Thanks, Angie! I give all the credit to Gourmet for their brilliant idea. It is a very tasty combination, indeed. Yum! What a deliciously simple appetizer!